Nice, but not enough to earn mindshare. Nokia needs an "event" phone. Mango was a great update to Windows Phone 7, and brings Microsoft closer and closer to feature parity with its competition. But sales don't come close to matching that of Google's or Apple's offerings. 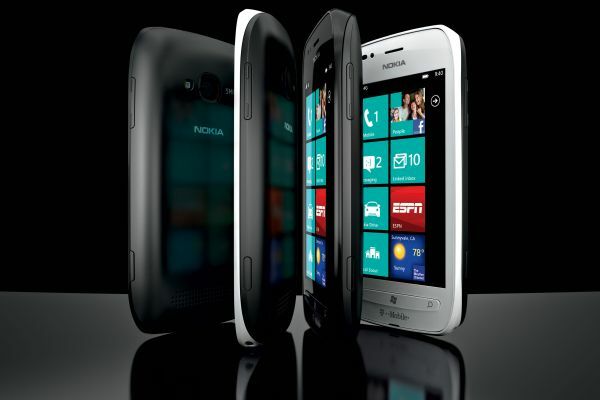 Nokia's partnership with Microsoft finally bore fruit in October with the introduciton of the Lumia 800 and 710 models. The 800 was an N9 look-alike sporting Mango in lieu of Meego, complete with its gorgeous well-crafted body and AMOLED screen. The 710 was a bargain device, sporting similar internals to its more expensive stablemate, but with a plastic body and LCD screen. And until now, neither has been available in the US. Today, however, T-Mobile and Nokia announced that the 710 will be avaialble for $49.99 on-contract on January 11th. Performance among Windows Phone devices is generally similar, with the top spec constrained to a single-core 1.4 GHz Qualcomm SoC, and the 710 is no different. The LCD screen comes in at WVGA (800x480); the rest of the specs are typical low-end Mango, 512 MB of RAM and 8 GB of NAND. There's no microSD expandability, and imaging comes from a 5 MP sensor. Nokia's primary addition to Mango is their Nokia Drive navigation software, and pre-installed software is copious, but hopefully easy to uninstall. We can't say we're not disappointed that the stunning Lumia 800 isn't being revealed, but at $50 and with equivalent performance, this should still make a good case for itself.